Tim C. writes: You recently answered a question about a silver Massachusetts coin which was a reproduction of a copper coin. Mine isn’t silver. I don’t know if it’s really copper or not, but it seems to be, with a patina on most of it. The edges are quite rough and it is not perfectly round. One side has LIBERTY AND VIRTUE COPLEY 1776, the other MASSACHUSET and I can’t make out the rest. My daughter’s great-grandfather gave her the coin about 2 years ago. The story he told her was that when he was 11 or 12 years old, a friend gave it to him because he didn’t want it any more. He was born in 1903, which would make the date that he came into possession of it around 1914. He kept it in a coin box for all those years until one day my daughter was asking some questions about his collection and he gave it to her because she thought it was interesting. My questions revolve around whether it’s at all possible that the coin is authentic…. 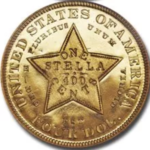 were copies of the coin made as collector’s items before the 1910’s (when great-grandfather got the coin)? Would even copies of that vintage have any value? How can we find out if it’s original? (Very unlikely, I know.) Is the only way to send it to the ANA? How do you protect the coin? Do you insure it? Thanks for any help you can provide! Not much is known about the unofficial coppers of Massachusetts but they were aimed at relieving the shortage of small change. 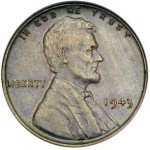 What was in short supply, was pennies and half pennies that made up the bulk of transactions in this period. 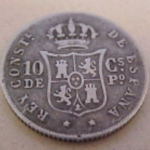 Larger sums of money were handled by Spanish 8 reales (Pillar and portrait dollars), English shillings and crowns and foreign gold coins. Official coppers were authorized by the Massachusetts General Court on October 17, 1786. 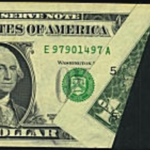 All State coins became obsolete in 1789 when the United States constitution was ratified. As far as I know just one 1776 Pine Tree copper exists. There is speculation that Paul Revere designed and struck this coin and might have made the other two unofficial coppers as well, (the 1776 “Three Heads Halfpenny” and the “1776 Province halfpenny”), as many of the design elements are similar to other known works by Revere. There is also speculation that the severe shortage of copper and Paul Revere’s lack of knowledge about die-sinking might have been the reason that the project was abandoned. Many replicas have been made over the years, mostly as souvenirs, especially in the centennial and bicentennial years of 1876 and 1976. These copies are not deceptive. Only a tiny minority have been made to fool inexperienced collectors. 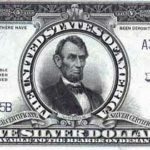 The Hobby Protection Act passed by the United States Congress some years ago requires that coin reproductions have the word “copy” or “replica” stamped into the reproduction. Of course, replicas made before the act have no stamp. If you believe that you are in the possession of a numismatic discovery, you should send your piece to be evaluated by NGC or PCGS. German "Notgeld"Are colorized Panda coins a good investment?